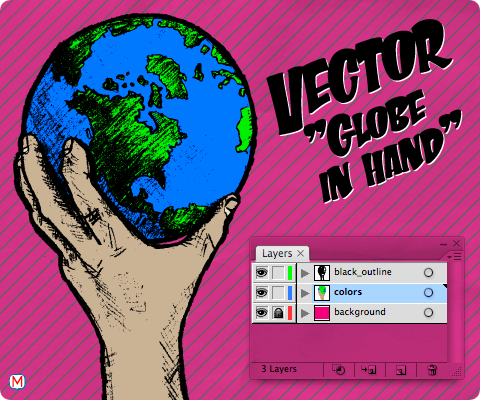 mmolai freebie: Globe in Hand vector. I had originally drawn this to be used for a logo (after lots of cleanup...) I never ended up using it, so I scanned it 1200dpi, did some livetrace'n + coloring and voila! It's uploaded on deviant, so it will download as a .pdf. Some may need to drag it in to Illustrator to use and edit. mmolai.com - Various art & design related stuff.